The Premium 1 year kit food for survival has a shelf life of up to 25 years. 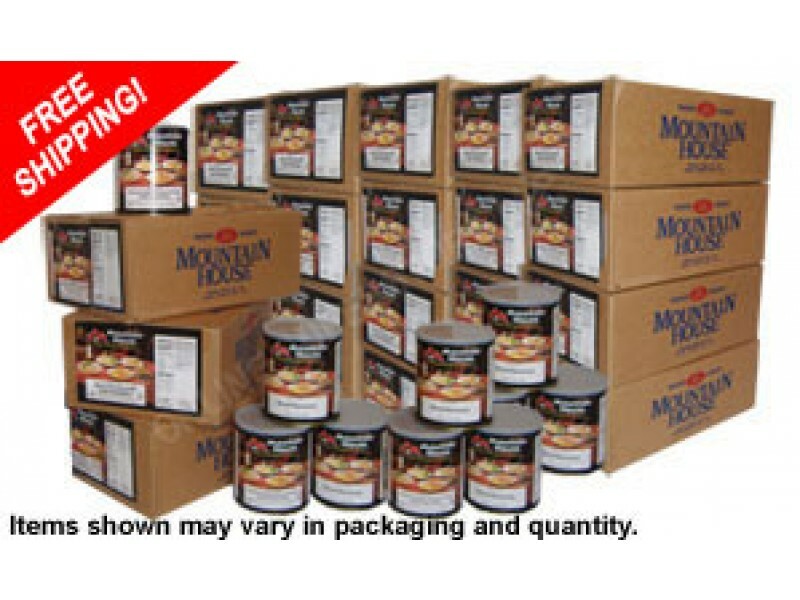 This is the second largest kit of Mountain House freeze dried food we offer. This Mountain House Freeze Dried food kit provides two (2) meals per day for 1-year. We offer free shipping to states in the lower 48 and there's no sales tax. Disaster preparedness has never been so important. Just look at what has happened around the USA in 2012 & to date in 2013. In any disaster or emergency you first have to survive. Next, you have to eat and drink these food list are the perfect disaster preparedness emergency food kits. Mountain House is far and away the best freeze dried food on the market today. Mountain House is the only company that has been around for 50+ years and has real testing to back up their claims. The very best freeze dried food is by Mountain House. The #10 cans come six (6) to a box for easy storing and use. We custom label each freeze dried food kit so you know what is in box. That way your not having to open everything to not find what your looking for. This is a great disaster preparedness long term food storage kit. You get great tasting Mountain House Breakfast, and Lunch or Dinner Entrees. 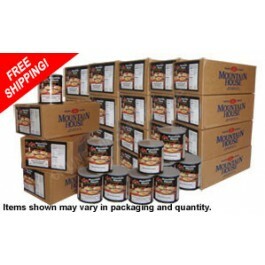 This “Premium” disaster freeze dried food Kit includes (57) #10 Mountain House Cans in easy to stack and store cases. Just order one emergency food kit for each member of the family and have peace of mind. No cooking and only 10 mintues for preparation! Just add water to this great tasting Mountain House food. 57 each #10 cans that come in 13 easy to store cases. The best freeze dried food supply money can buy. Great investment and very low cost. Start with one disaster food supply kit. A total of 43.5 gallons of water are needed to prepare all the food.